I have been think a lot about a statement made in a Bible study that I attend on Wednesday mornings. The leader made the following statement: “I am sure that everyone of us around this table have unconfessed sin in their lives.” And most guys nodded in agreement. Now, I don’t think that he really meant that the way it sounded. (or maybe he did) And I am not going to debate the definition of “Sin”. But, nevertheless, that statement got me to thinking. And that is a good thing. This passage contains a few brief words that make me laugh every time I read them. Aaron tries to explain to Moses how the golden calf came to be. Give me a break! Come on Aaron. That calf didn’t create itself. You made it for them. The Israelites wanted a god they could see and touch. We do to. So they melted their valuables and fashioned a golden calf. The calf wasn’t just a convenient image to worship; it was reminiscent of the cow and the bull that were a part of Egyptian worship rituals. The bull was also part of the Baal worship of the Canaanite culture. (this culture would continue to haunt the Israelites for hundreds of years). The Israelites watered down their faith by including pagan elements from pagan practices. And the consequences of this act would follow them for years and generations to come. They allowed elements of their old lifestyles, previous experiences and bad habits to continue to shape and define who they were. They still were not grasping what it was to be the children of a Holy God. Why did the Israelites make such a tragic mistake? In a word, fear. They were afraid. Now let’s be clear on something here. Being afraid is not an offense to God. But how we respond in our fear can be a big problem. When the Israelites were afraid they reverted back to the familiar past. Even though they were slaves in Egypt, life back in Egypt was predictable. And like the Israelites, when we are scared, we often seek out the familiar and stable . . . even if that stability is negative. The Israelites probably had a series of “if only” moments. If only they had remained faithful to God. If only they had resisted the urge to worship the golden calf. If only they had waited patiently for the Lord. If only they were willing to break the cycle of disobedience to God and live a life of holiness. As we discussed last week, the bad news is that we often have to live with the consequences of our sins. The good news is that God is the God of forgiveness and restoration. We can be in a right relationship with God even after we have let Him down. We can be restored, we can move forward. We can leave the mistakes of the past behind us, and through the power of the Holy Spirit, we can walk in Holiness and not repeat them over and over. We can break the cycle of sin, repent, sin, repent, sin, repent . . .
Read the back of your shampoo bottle. It says, wash, rinse and repeat. No one in their right mind expects us to live in the shower and continually wash, rinse and repeat. I think it is reasonable at some point to get out of the shower. Dry off. Get dressed and go to work! We are not supposed to live in the shower. 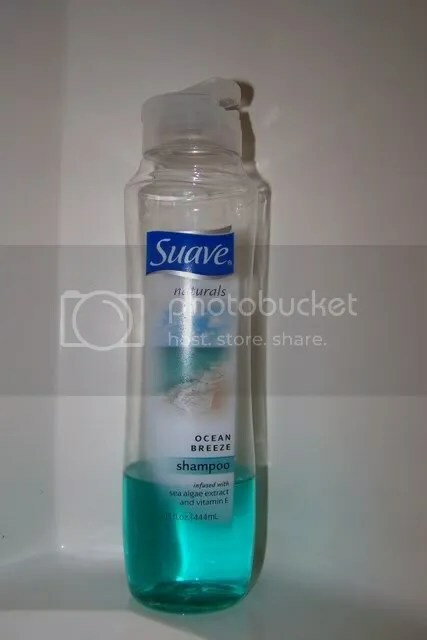 And I guess that is where the shampoo analogy breaks down a little bit. But the analogy does work when it comes to Holiness. God calls us to live a life of holiness. Like the Israelites, we, who are Christians, are His children. And He has given us His Son to die for our sins so that we might be forgiven. And he has given us His Holy Spirit to guide us and empower us to live that life of holiness that He calls us to.